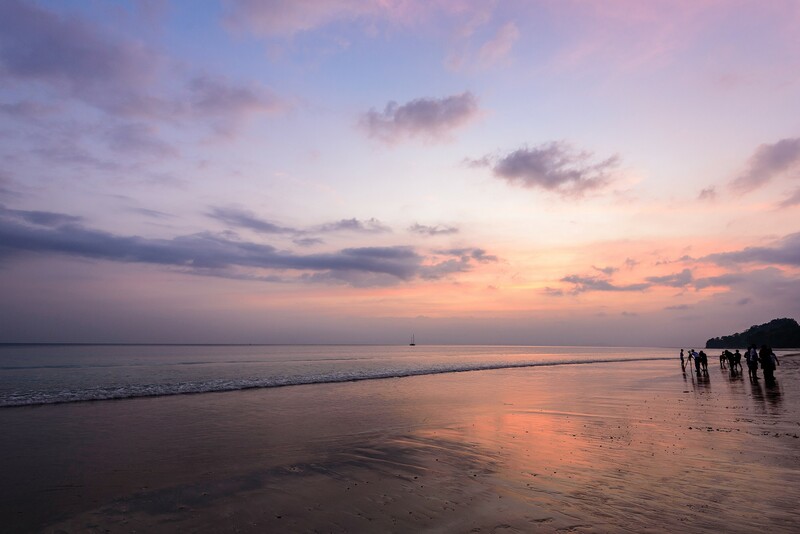 Radhanagar Beach, also known as Beach no 7, part of the picturesque Havelock islands of South Andaman, is arguably one of the most beautiful beaches in Asia. Any mention of this place immediately conjures up images of a nice, clean sandy beach soaked in the warmth of a sunset. That’s because it happens to be the most photographed view of this beach like the one you see below (don't miss the crowd of photographers waiting for that perfect sunset shot). While that, by itself, is a glorious scene, there is more to Radhanagar. By looking for interesting scapes and exploring lesser-visited spots, you could end up with a new perspective of the place. On my visit here, unlike most visitors content to hang around close to the beach’s entrance, I set out towards the tree-line on the southern edge of the beach. As I got closer, the tree-line grew larger. The smooth, sandy beach turned rocky – some rocks were strewn about, some half-submerged while waves lapped against them gently, rhythmically. It was a completely different view from the one I’d seen earlier. Facing south, I was able to capture the orange hues of the sunset on one side and the greens from the tree-line (as seen in the top shot). The best view is often just a few steps away from where you currently are. Srinivasa is an IT engineer by profession, but harbours a keen love for the outdoors. Based in Bangalore, he never misses an opportunity to pack his bags and head out. He has an avid interest in photographing landscapes. He tweets as @photomithra and posts as @photomithra.in on Instagram.